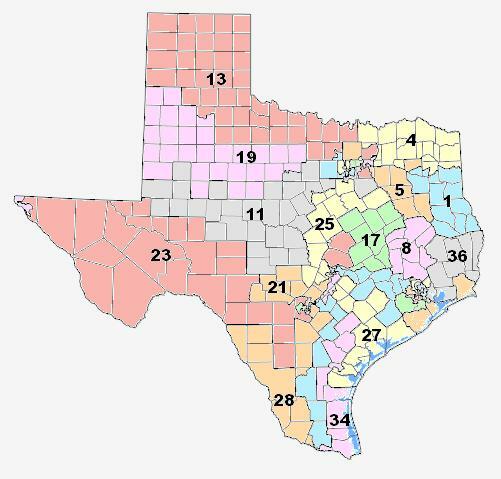 We just read this embarassingly bad analysis from 538.com about the national stakes in Texas' Congressional runoffs. It's cliche-filled nonsense that, at best, illustrates the hazards of long distance punditry. 538 spends 80% of their time discussing the Democrats despite the fact that Democrats in Texas are irrelevant (unless they're being enabled by Republicans). Honestly, it's not even worth your time. That being said, there is a national story brewing (for anyone who wants to pay attention): The Republican runoffs, and what they could mean for the Republican conference in the U.S. House. No matter what happens tomorrow, conservatives are at least +2 in Congressional races in Texas this cycle. Van Taylor is going to replace Sam Johnson. And whoever wins CD-21 is going to be light years better than Lamar Smith. That's already two improvements. The other four run-offs contrast Texas good ol' boy "Republicans" with grassroots conservatives. If conservatives have a good night tomorrow, it pulls the center of gravity in the Texas delegation significantly to the right. And, if the Texas delegation moves right, so does the Republican conference as a whole. CD 27 (Farenthold seat): Cloud (conservative) vs. Bruun (Good Ol’ Boy). Right now, the Texas delegation has one solid conservative (Gohmert). It has a few reasonably decent members (eg. Hensarling, Ratcliffe, Roger Williams). The rest are good ol’ boy types. It doesn’t take a genius to see how, as you replace good ol’ boys with conservatives, the Texas Delegation shifts to the right. It also doesn’t take a genius to see how, as afore mentioned impact occurs, it has a ripple effect on the rest of the Republican conference. Bottom Line: There are several races in Texas tomorrow with potentially large national impact. But they’re happening on the Republican side, not the Democrat. If you want to understand how the national media missed Trump, THIS is how the national media missed Trump.